We weren’t EXACTLY sure, but I told her I believed they were the browns, cappuccino, earthy tones with smallish prints - usually - they have a certain “look” to them that you learn by just looking at some of the prints that tell you they are CW prints. When my brother-in-law (Rachael’s hubby) was looking through fabrics, and helping us buy, he gleefully told us later, “I found a Civil War print!” Since he is actually a real Civil War buff, I thought it was great! Maybe it was the fabric shown on the left. If it wasn’t that one, it was something like that since he knew it was CW because it had words on it! 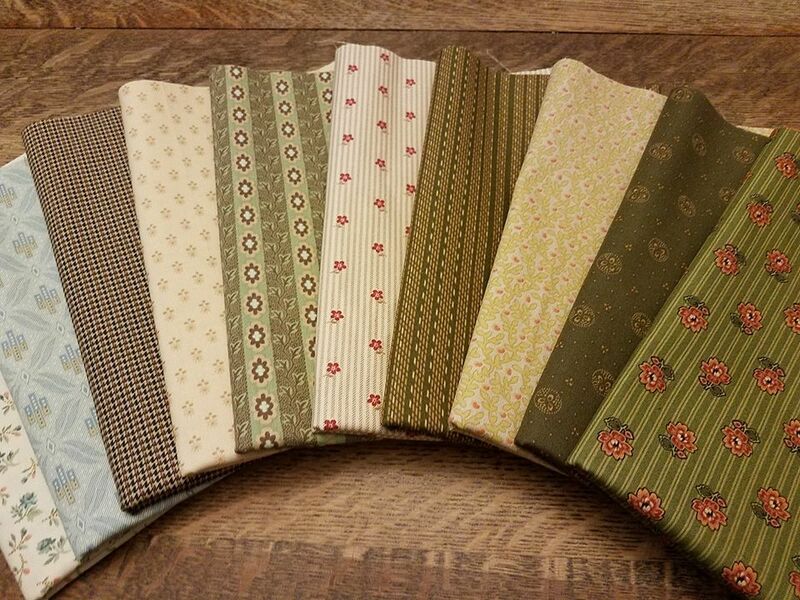 Not long ago a lady wrote in to customer service and requested that my sis put together a Civil War pack of fabrics because she had been to the store, but was overwhelmed with the choices. 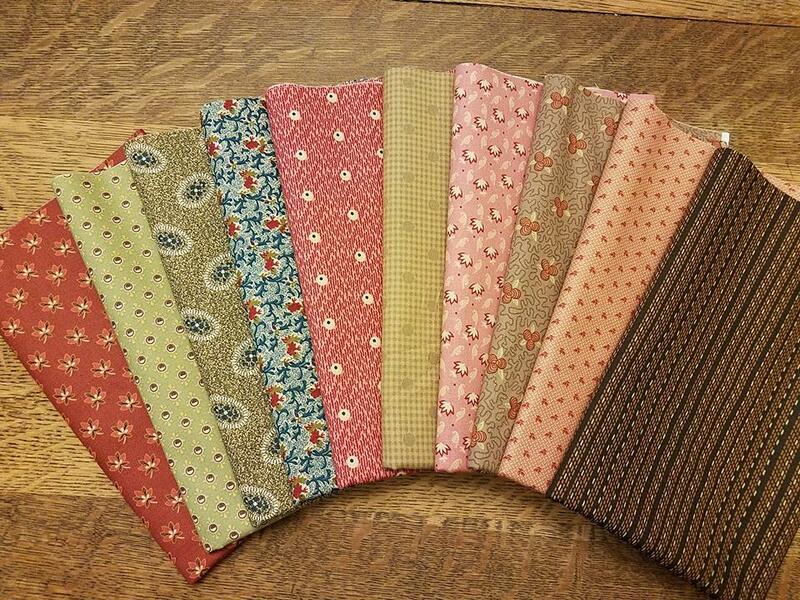 So, my sis got busy, did the research, learned more, chose some fabrics and put together several packs. She discovered that Penny Rose, of which we happen to have a lot of in stock, has two lines which are Civil War prints - Evandale and Callington Mills. Also, a lot of Andover - which we happen to have a lot of and Windham’s Kindred Spirit lines are Civil War inspired. So here’s what she found and put together. For more pictures, just click on the link and you will be taken to the page where there are more pictures and close ups. 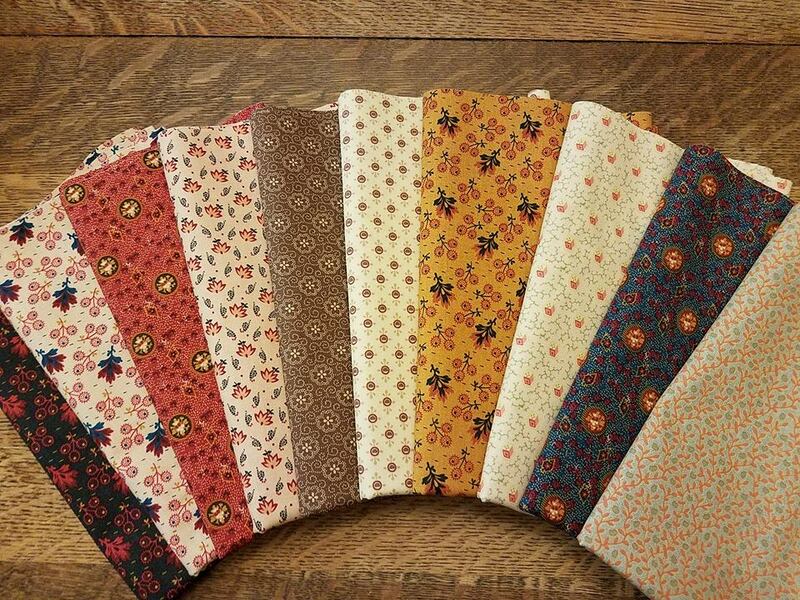 Each of these packs are made up of 10 half yards pieces, and the cost is $25 for the pack. So, while the Quilted Twins store does not specialize in Civil War prints, it does appear that we have a fair number of them! Be sure to get yours while you can! So, here’s my question to you - What do you think of when someone says “Civil War” print? If Civil War prints aren’t “your thing”, you can always go here to the page of bundles and find something that IS your thing! And that’s what we’ve been up to today!